Ray-Ban is a world leader in iconic eyewear; legendary quality and unbeatable style. 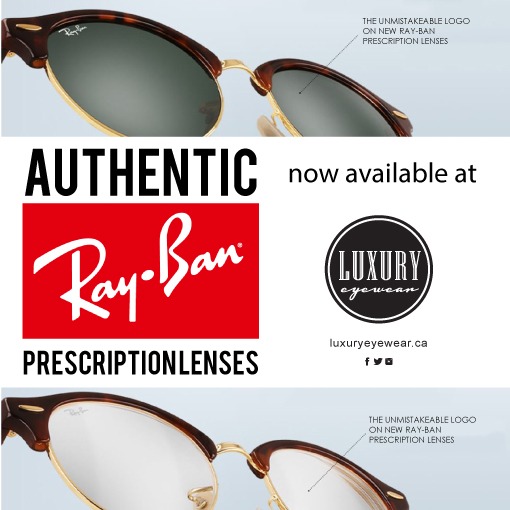 Now you can finally can get authentic Ray-Ban prescription lenses to go in your favourite frames. Now, all your vision needs can be met with Ray-Ban frames AND authentic Ray-Ban prescription lenses! Your Ray-Ban frames are now available with the best quality prescription lenses, featuring the signature Ray-Ban logo and etching marks, giving you the complete, original Ray-Ban look, and the perfect vision you need. Even available for sunglasses and progressive prescriptions!